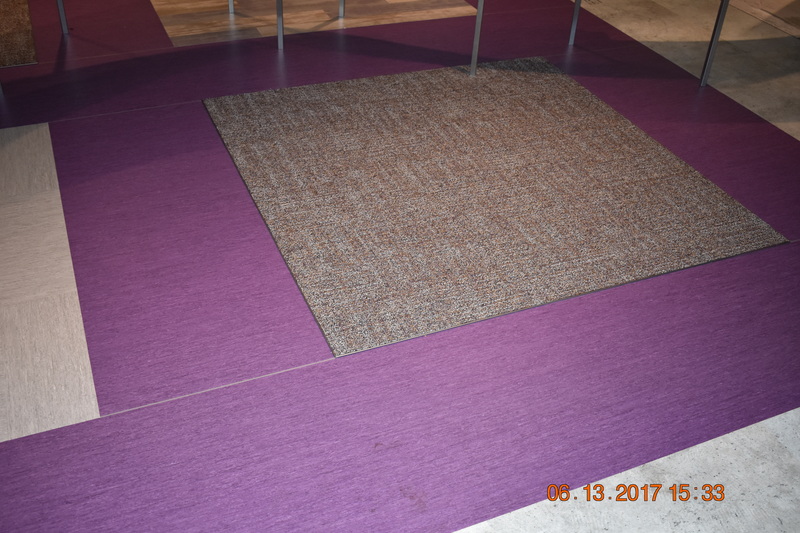 Muted Colors with Bright Accents Take the Stage – Visiting more than a dozen floorcovering showrooms, the colors for commercial carpets this year feature muted colors and neutrals – greys, browns, earth-tones and blacks predominating. Even when a non-neutral color was introduced, such as a blue, it featured a washed-out appearance. However, these neutral palettes were off-set by the adroit use of bright accents, which were abundant in several new product introductions. A bright, almost acid, green was used in many products, and several used orange accents as well. Neutral colors and backgrounds provide a solid canvas from which to build a design. By adding in brilliant accent colors for a “pop” of color, it adds liveliness and interest to a space. Organic, Nature-Inspired Patterns Continue – For a few years now, we’ve seen the emergence of organic and nature-inspired patterns (and colors) become a predominate element in floor covering design. That continued apace at NeoCon 2017. 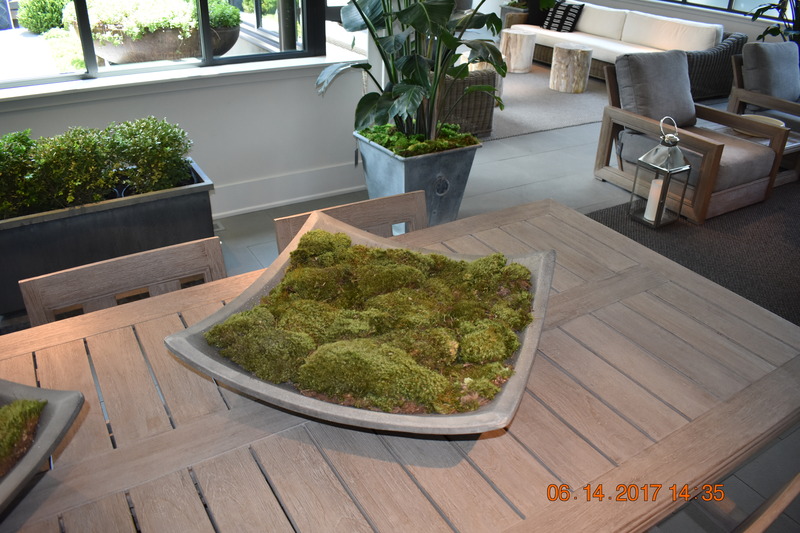 Many of the flooring products I viewed, both in carpet and hard surface, showed patterns that had an earthy aesthetic, some evoking the look of moss growing and stones scattered about. The bright green I mentioned provided the mossy look, while the greys depicted the stones. Other earth tones were added to bring a depth and richness to the flooring. 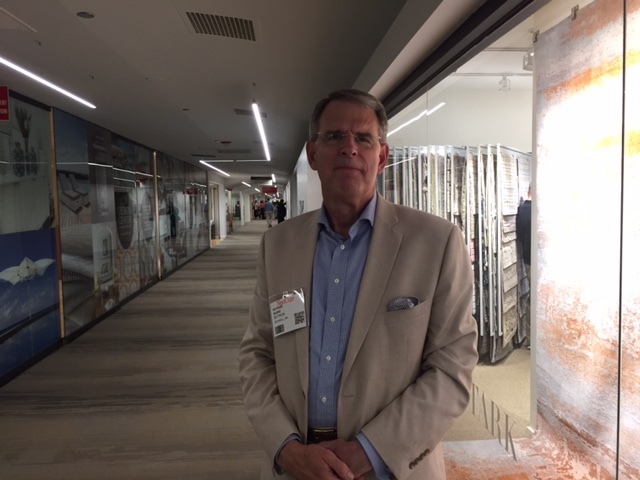 Multi-Surface Combinations Are In — All the flooring showrooms I visited displayed coordinating carpet and hard surface options. Obviously, a lot of thought is going in to flooring materials to provide the right performance and style for the myriad end-use areas in commercial interior spaces. 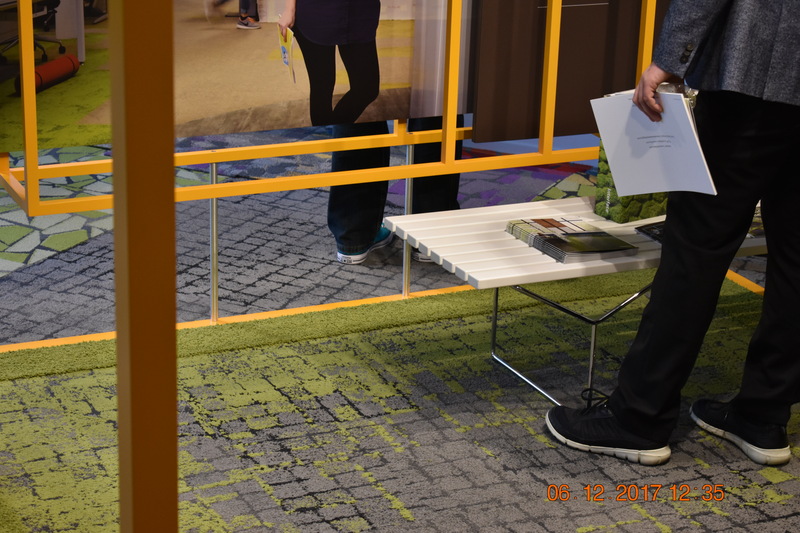 Zeftron Nylon Brings It Life — The wonderful flooring products on display at NeoCon 2017 were inspiring and beautiful to look at. 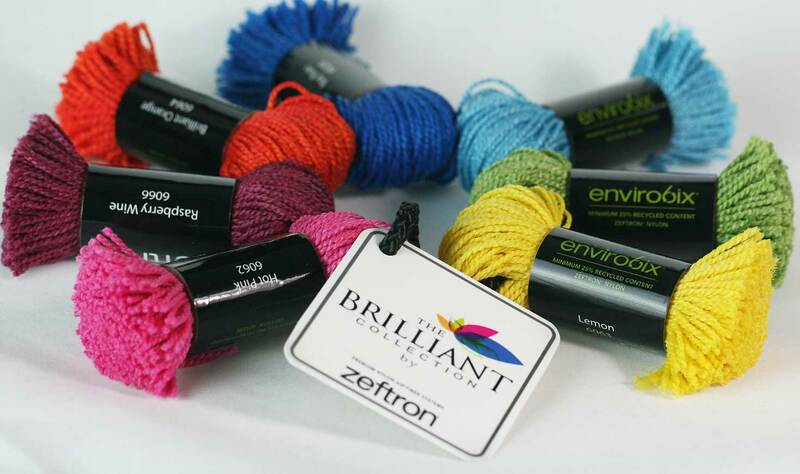 If you’re a designer needing a range of crisp, clean neutrals (not dull or muddy) to provide the canvas for your next project, consider Zeftron nylon. Our neutrals can create the organic, nature-inspired look you need. When paired with colors from our Brilliant Collection, we bring the bright reds, yellows and greens needed for that perfect accent. Our Brilliant colors pop with energy, creating that distinctive look you desire. And of course, carpet made with Zeftron has the style and the performance characteristics to work right alongside a hard surface product. For more on our entire color range, please visit our Style page. I invite your comments. What stood out to you at NeoCon 2017? 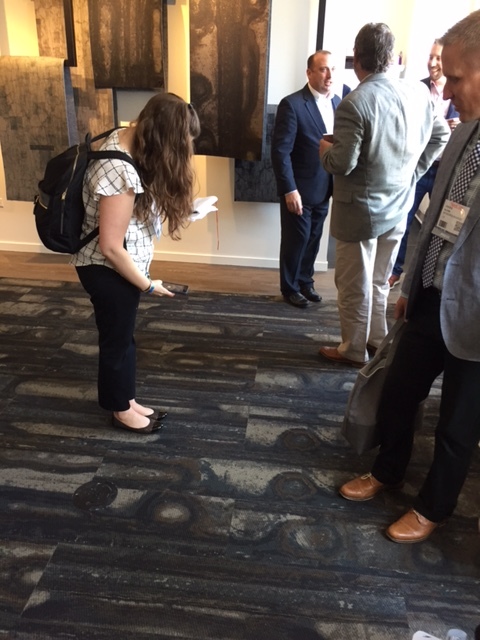 The Zeftron team, along with our mill partners, enjoyed the exciting new products at Neocon 2017! We are looking forward to observing and reporting on the designs and trends at Metrocon in Dallas and BDNY in New York.